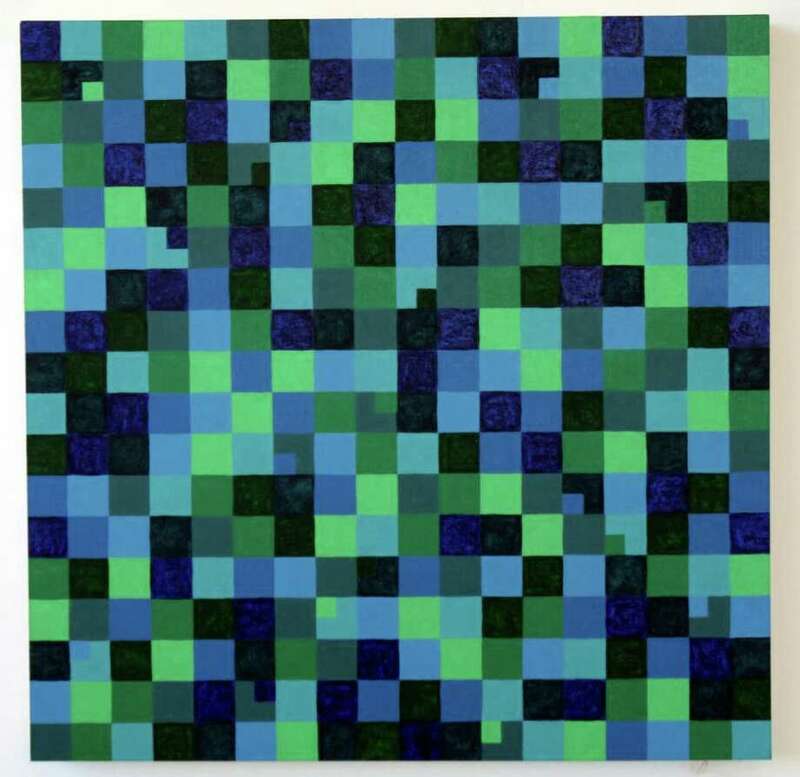 "Accent Aqua II" by Tina Rohrer, will be on display at ArtPlace gallery in Fairfield throughout January. Two artists with diverse perceptions will present their individual provocative exhibitions at ArtPlace Gallery in Fairfield Jan. 4 through 29. Weston artist Cecilia Moy Fradet's subjective exhibition, "Dreams of Gold Mountain," combines imagery from her childhood memories of Hong Kong with her family's move to America -- the land of opportunity -- and the contrasts she discovered between myth and reality in New York. Her exhibition is a contrast between myth and reality. "My show is concerned with reconciling the expectations that motivated my family's journey here and the reality of the American Dream," Fradet said. Her formal art training began at New York City's High School of Art and Design, followed by CCNY, the Fashion Institute of Technology and Goldsmiths University of London. She is a member of the Silvermine Guild of Artists, the Center for Contemporary Printmaking and a docent at the Aldrich Museum of Contemporary Art. Tina Rohrer, of Pound Ridge, N.Y., is more objective in her exhibition, "Awash in Color," as she explores through geometrical forms the optical qualities of color and how colors interact when in juxtaposition with other colors. Rohrer holds a PhD in microbiology from Harvard. Twenty years ago, she left her scientific career to pursue art and experiment with color. She is fascinated with color optics, how colors change as they interact with one another, and the push/pull effect of complementary colors. "Integration and balance play a role in the inherent meditative quality of the art," she said. "The expansion of visual possibilities is endless." The public reception is Saturday, Jan. 8 from 4 to 6 p.m. A workshop, "Playing with Color," will be given on Sunday, Jan. 16 from 3 to 4:30. Reservations and a $20 fee for ArtPlace are requested. An Artists Walk and Talk will be held on Thursday, Jan. 20, from 12:30 to 1:30 p.m.
ArtPlace Gallery is at 11 Unquowa Road. For more information, call 203-292-8326 or go to www.artplace.org.